For two months late in 1914, a small German light cruiser, the Emden, proved to be a major thorn in the side of the Allied naval forces as it wreaked havoc among merchant vessels and warships alike in the Indian Ocean. Its presence in the area was of great concern to the Australian and New Zealand Governments as they nervously waited for an opportunity to dispatch their expeditionary forces across the ocean to the Red Sea and the Suez canal. Sometime early in September the Emden had detached herself from the rest of the German East Asia Squadron. 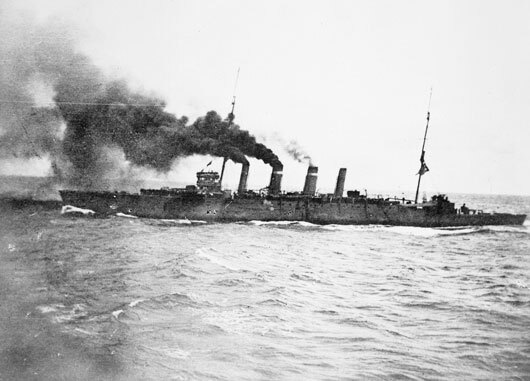 Disguised with a false funnel, she carried out a series of raids on Indian Ocean shipping that would result in the sinking and capture of dozens of merchant vessels. After sneaking into Penang Harbour under cover of night and sinking two warships belonging to the French and Russian navies, she disappeared. 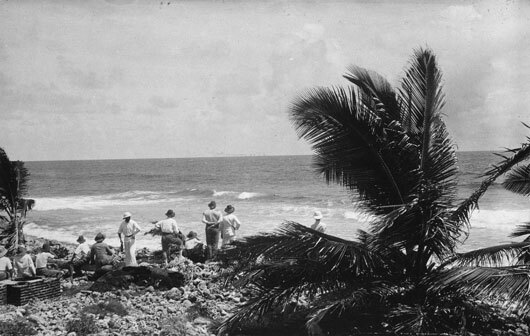 In late 1914, the tiny Cocos-Keeling island group in the Indian Ocean became the scene of a chance naval encounter that would make Australian Naval history. The German light cruiser Emden raided the island but was surprised and sunk by the Australian cuiser HMAS Sydney (not to be confused with its namesake sunk in WWII). It would be the end of the Emden’s successful Indian Ocean campaign. 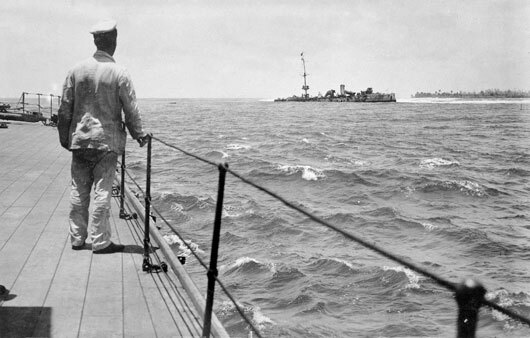 The RAN light cruiser HMAS Sydney steams towards Rabaul in the capture of German New Guinea, September 1914 (AWM EN0194). An unidentified seaman on the deck of HMAS Sydney looks at the wrecked German cruiser Emden, run ashore on North Keeling Island (AWM EN0401). 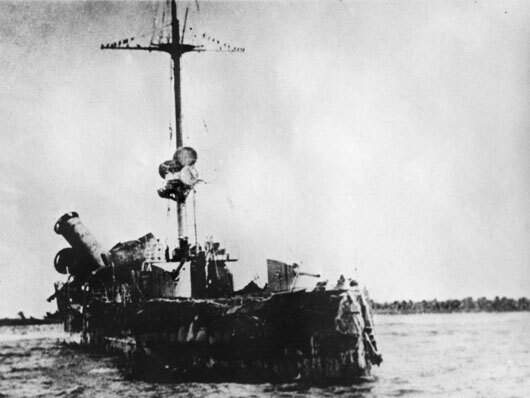 The wrecked German cruiser Emden, run ashore on a reef at North Keeling Island after her encounter with HMAS Sydney (AWM EN0471). The staff of the Eastern Extension Telegraph Company on Direction Island watch the action between HMAS Sydney and Emden (AWM EN0392). 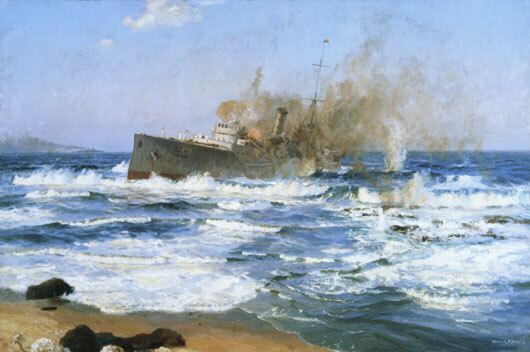 Arthur Burgess, "'Emden beached and done for', 9 November 1914" (AWM ART00191).